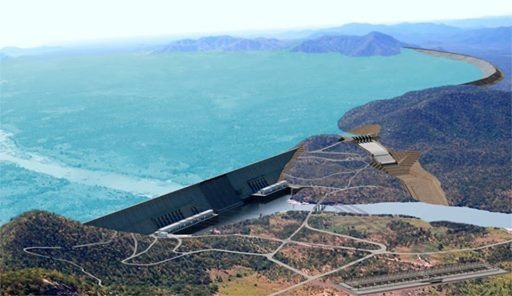 nazret.com – Ethiopia has responded to Egyptian President’s statement regarding the construction of the Grand Renaissance dam by saying the dam is equally a “matter of life or death” for the people of Ethiopia. The Ministry of Foreign Affairs’ remarks on Thursday came after Egypt’s president called water “a matter of life or death” for his country during a televised speech. Tensions between the two countries have flared up recently after negotiations failed to endorse a technical report prepared by an independent company on the likely effects of the dam. In other development, Sudan’s foreign minister accused Egypt acting as a bullying neighbor and Cairo was only unhappy about the dam because it would stop it from using some of Sudan’s own share of the river’s waters. “It’s high time Egypt pays what it owes and for Sudan to get its full share,” said Ibrahim Ghandour, the minister. Egyptian media frequently accuse of Sudan siding with Ethiopia on its row over the Nile water. “You cannot talk about water relations between two countries in terms of credit and debt … and it seems suspicious to raise this issue at this point of time,” Shoukry told Egypt’s official MENA news agency.